These top dot labels make it easy to locate your essential oils. 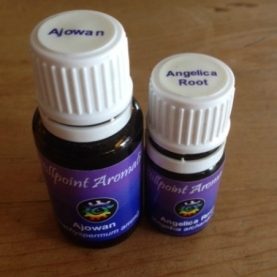 Top dots adhere to the cap of your essential oil bottles. When you have many bottles next to each other, you no longer have to pick up each one to read the label in order to find the exact one you are looking for. Includes top dots for all of the oils that we carry, from Ajowan to Yuzu.